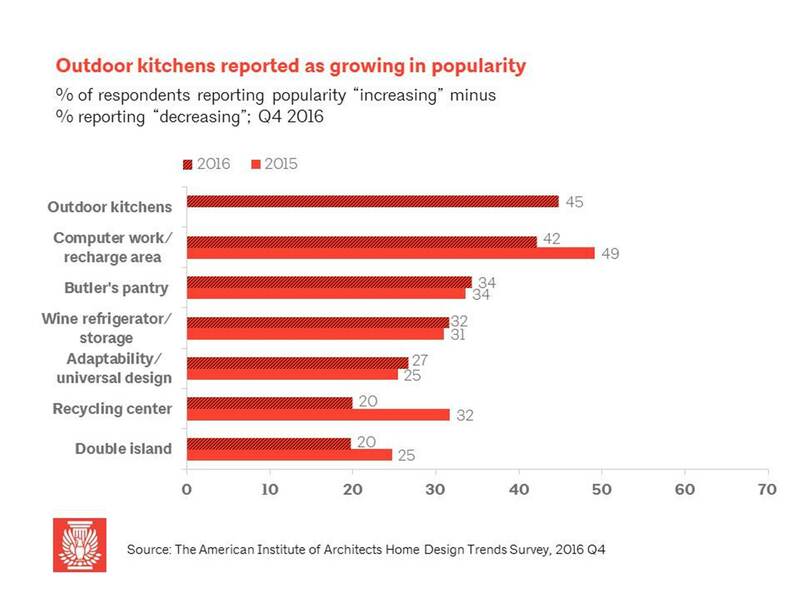 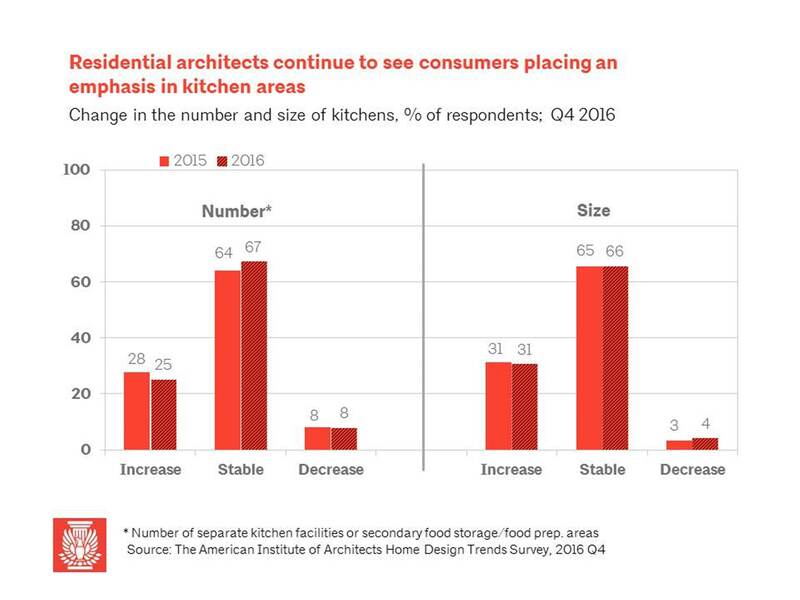 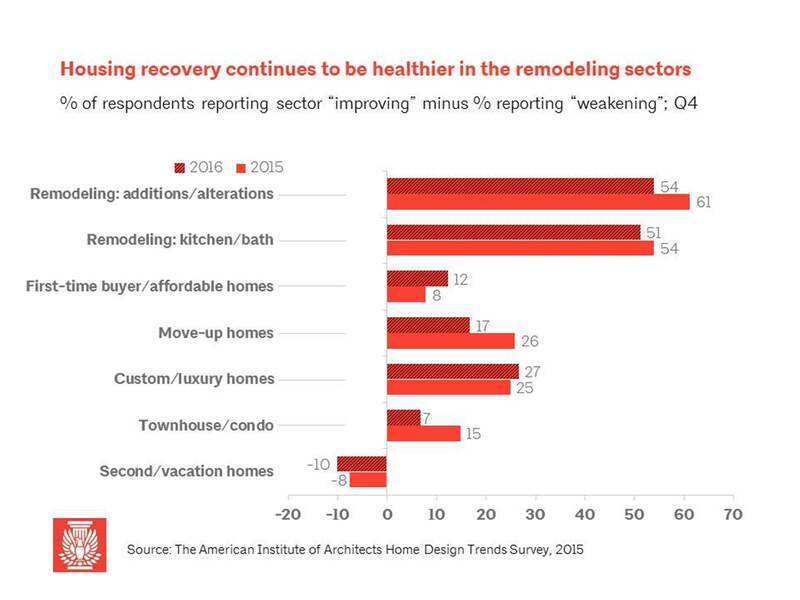 Welcome to the AIA Home Design Trends Survey results for Q4 2016. 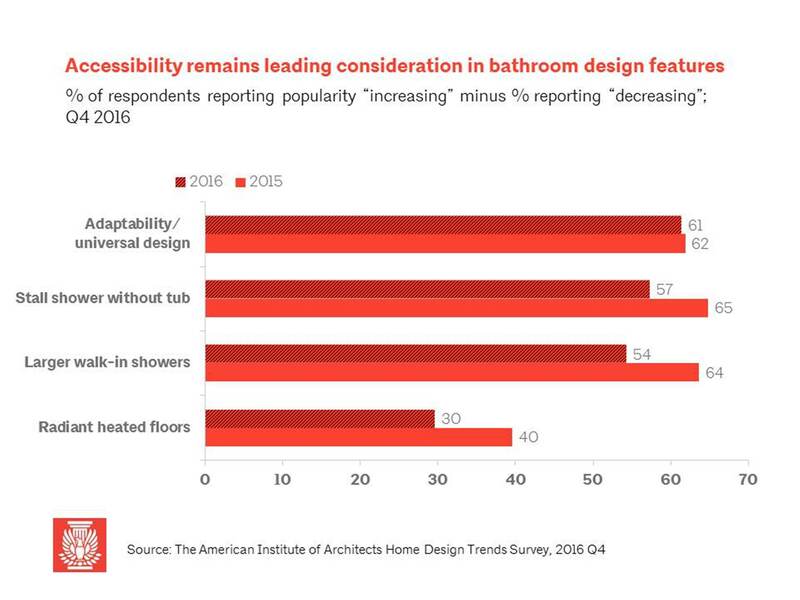 This visual format is intended to help you quickly identify emerging trends in home design by using visual cues to scroll over and pull up charts and figures with findings for each quarter. 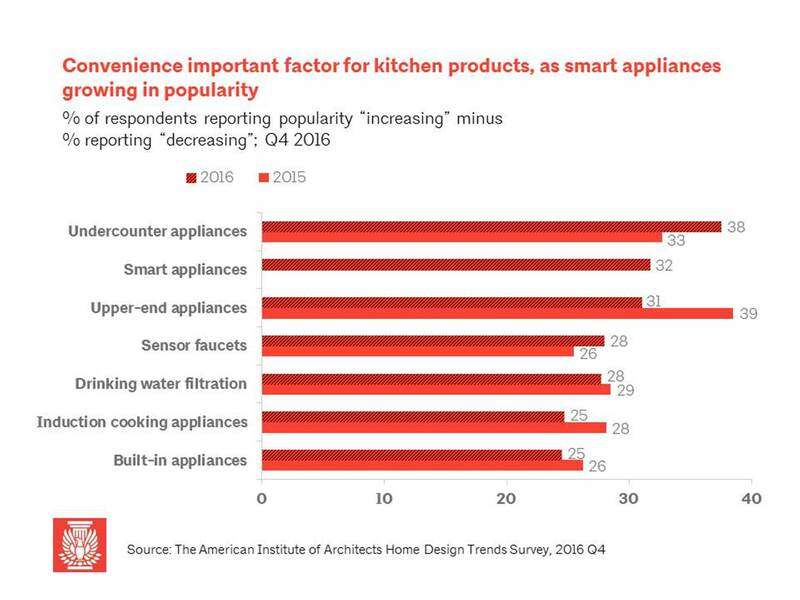 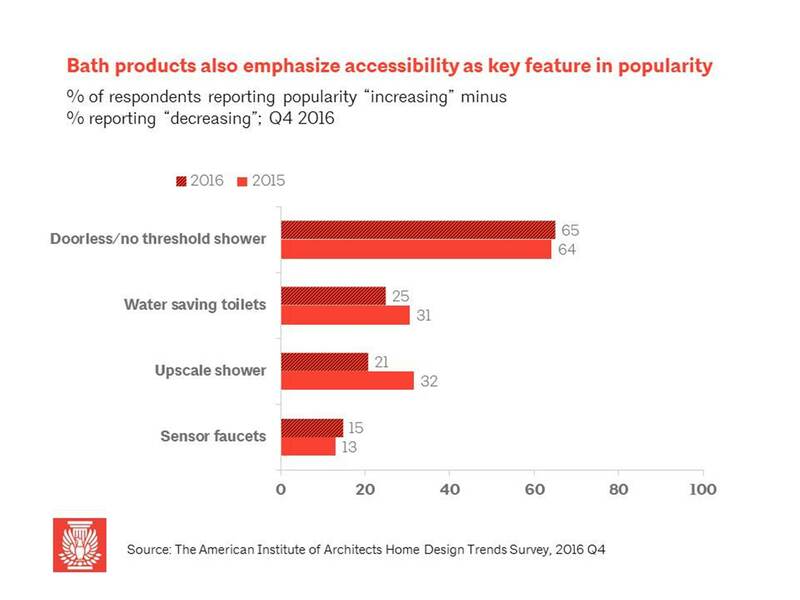 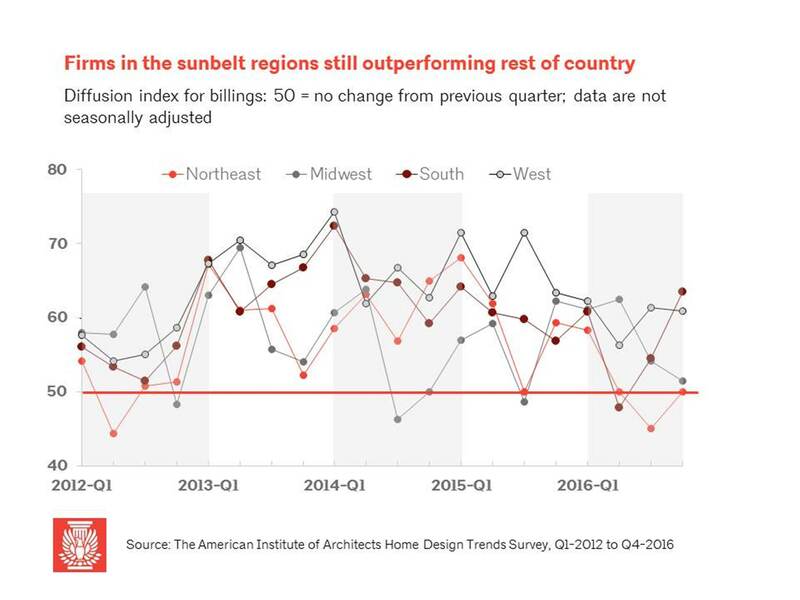 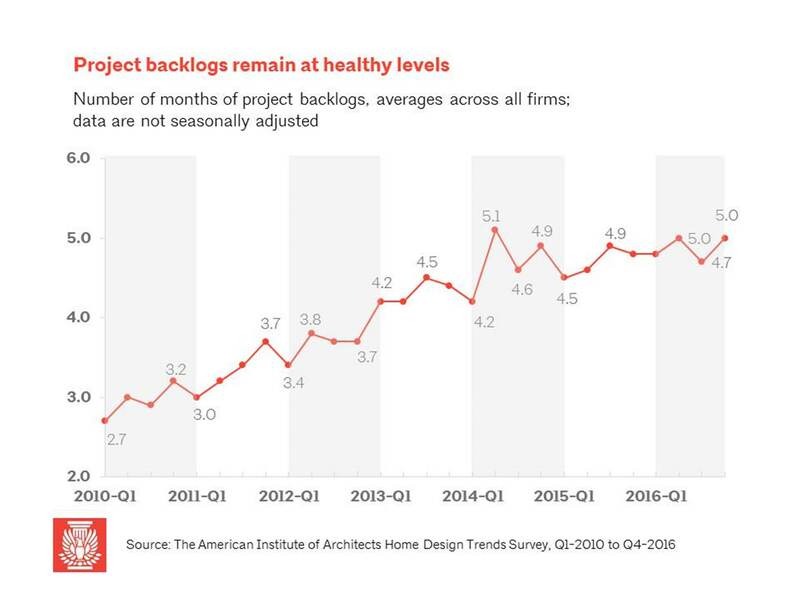 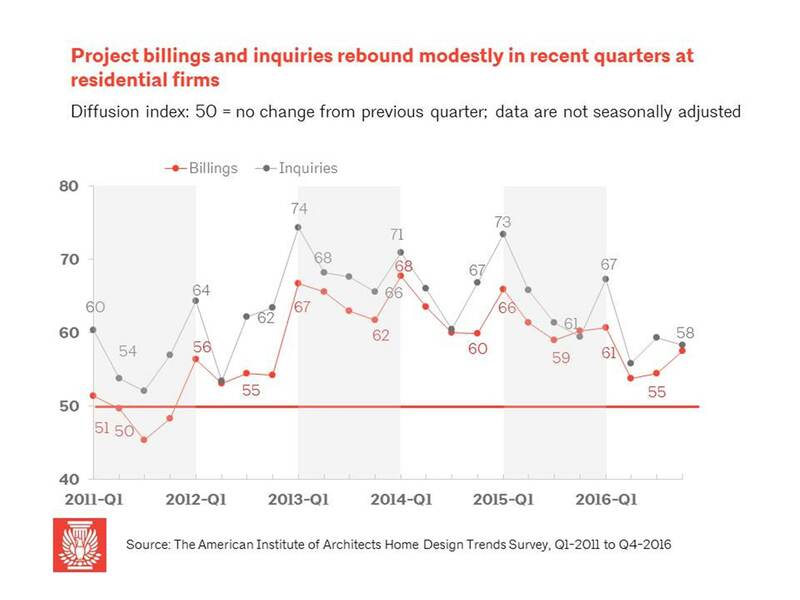 As a reminder, each quarter the AIA Home Design Trends Survey highlights a different area of home trends and includes the same business conditions questions for tracking purposes. 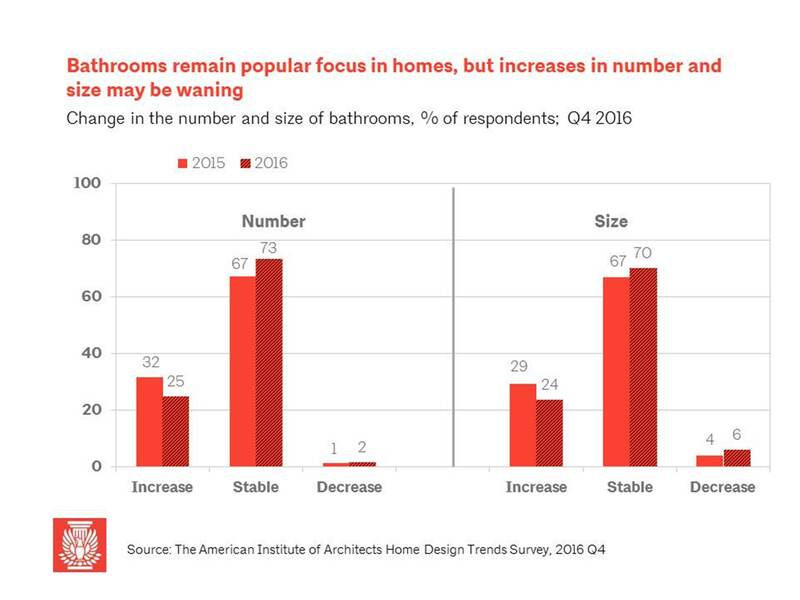 For your information, this Q4 report covers "Kitchen and Bath," while Q1, "Home and Property Design"; Q2, covers "Home Features"; and Q3, covers "Neighborhood and Community Design."